In late February of this year, six Duet students and I traveled to Colombia on a study and service trip. These students are enrolled in online Associate or Bachelor’s degree program at Southern New Hampshire University (SNHU) with Duet. This trip was a chance for them to build on what they are learning in their degrees, have new experiences, and give back. 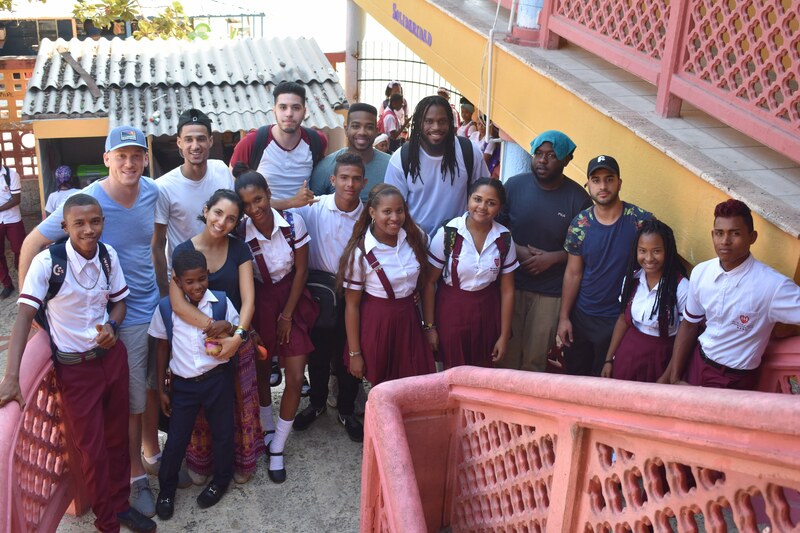 On this trip, students immersed themselves in the local culture on the Colombian island of Baru, taught English at a local high-school, organized a 10K fundraiser run, and spent two days exploring the historical city of Cartagena. Even while doing all of that, they were able to get a lot of school work done during the trip. They also spent time every day in deep reflection - contemplating their future ambitions and analyzing the complexities and richness of another culture. They all came away with a renewed sense of appreciation for life, an eagerness to excel in work and school, a desire to engage more meaningfully in service work, and a serious case of the travel bug - emany were already planning their next global excursion. Five of the six students graduted with their Associate Degrees from SNHU last Saturday, and the sixth is already on to his Bachelor's Degree. This trip provided time, motivation, and inspiration just as they were about to cross the stage to graduate. I’m in the beginning stages of building an organization that allows students who are enrolled in online degrees or other training programs to have experiences abroad like this one and this was a very successful first trip. We plan for there to be trips like this for Duet students in future years. Check out this short video to hear from participants about their experience.